I sometimes wonder if people with an allotment or vegetable beds in their garden face the same complications that I do when it comes to deciding what to plant where. 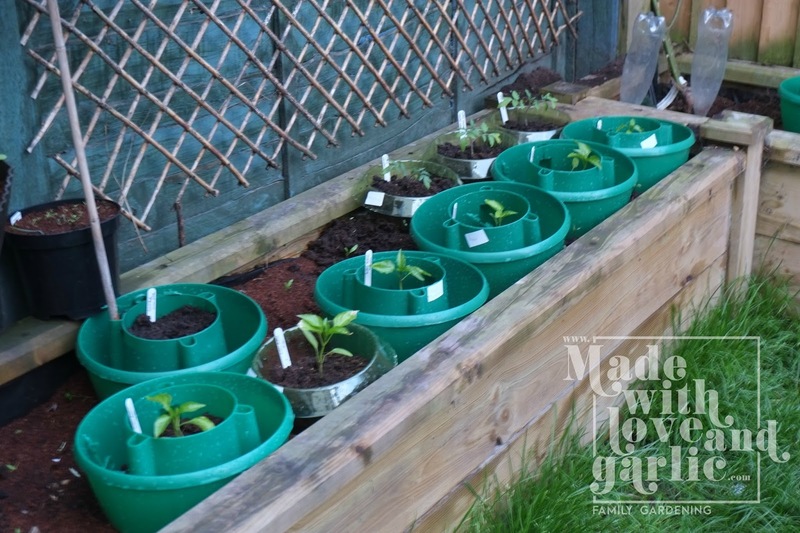 Even if I’d been growing my own plants from seed rather than cheating and didn’t have to wait for the plug plants to be shipped to me in tiny spurts when they’re ready, I’d still have to work out where to put them. It is quite frustrating to see lots of gaps where the collars I’m using should be, but I’m trying my best to be patient and they’re extremely useful in forcing me to keep a decent distance between each plant. I have a bad habit of overcrowding plants and so having them die on me. It feels strange, with the plants being so tiny at the moment, to see so much bare earth. 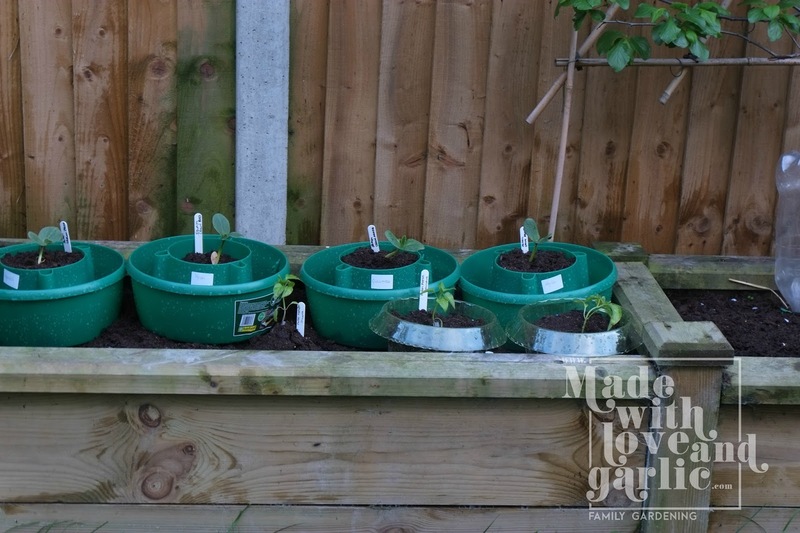 I’m really looking forward to them leafing up soon, I’ve got various squashes and peppers and tomatoes in already, and can’t wait for them to grow and make the place a bit greener!